After a bit of a slow start, the Android app ecosystem is now growing at a rapid clip, as it nears 100,000 apps. One of the people Google can thank for that is Sun Hu Kim, their lead for Android developer marketing. But come Monday, he won’t be pitching Android anymore, he’ll be pitching Twitter. Twitter has hired the longtime Google employee (he’s been there just about 4 years) to be a part of Twitter’s fast-growing platform team, the company has confirmed. Kim tweeted about the news a few minutes ago, as well. Twitter didn’t have any more to say about what he’ll specifically be doing for the company now, but you can bet he’ll be playing to his strengths as a marketing manager. As he notes on his LinkedIn profile, at Google his job was “Encouraging developers from around the world to build apps for Android.” Now he’ll likely be doing the same thing for Twitter. You may recall that Twitter worked closely with the Android team to make their native Android app. Earlier this year, the head of Android’s core library moved on to the mobile payment startup, Square — a company founded by Twitter chairman (and creator) Jack Dorsey. In other Twitter recruitment news, earlier today, Twitter’s Join The Flock account (the account they use for recruiting purposes) tweeted that they would soon being recruiting for new employees on college campuses. 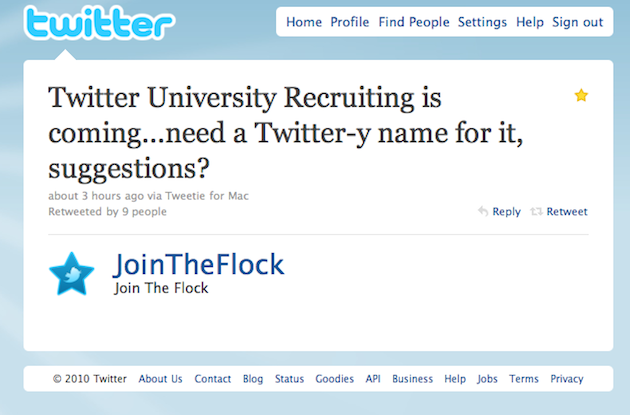 “Twitter University Recruiting is coming…need a Twitter-y name for it, suggestions?,” reads the tweet. Twitter is growing fast, but employee growth can’t seem to keep pace with user (and usage) growth, as they made pretty in their post talking about the recent scaling issues. There are over 20 engineering positions they are actively looking to fill — on top of several other ones. University recruitment is a huge area of emphasis for larger companies like Microsoft, Google, and even Facebook. You’ll soon be able to add Twitter to that list. 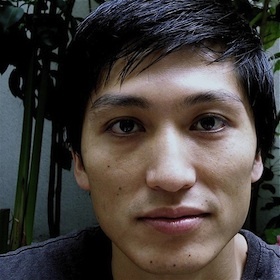 Update: Jokes Twitter’s Ryan Sarver, the Director of the Platform team Kim will be joining, “he’ll be working on the twPhone :)” iPhone killer watch take 600!